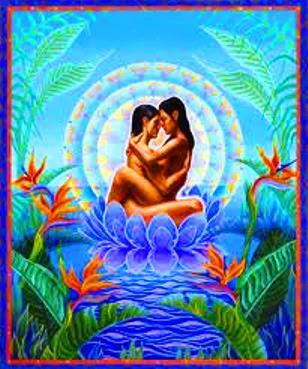 Twin Flame: Twin Flames experience a strong spiritual attraction. They have a main purpose of assisting humanity shift their consciousness. Twin flames face many obstacles in their relationship to heal all their personal emotional baggage. 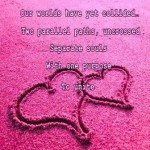 Soul Mates: Soul mates attract each other through the chemistry of romantic feelings. The powerful force of sexual attraction is hard to resist. Soul mates come together, in various relationships, over lifetimes to learn major life lessons with each other. 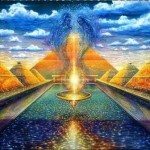 What are Some Major Signs of Twin Flame Relationships? The following indicate some signs I have experienced in my relationship of almost twenty years with my wife, Lyn. Others may encounter other additional signs. Again, the main purpose of Twin Flame relationships lies in service to humanity. Assist to Resolve Karma: The first few years of our marriage consisted of many challenges and obstacles. We both brought to our relationship childhood trauma and emotional baggage, which we bumped up against over and over. We, however, both persevered because of our sense of a bigger spiritual purpose for being together to serve humanity. Common Family Patterns: We both came from families of five children with two girls and 3 boys. We both were the eldest child. I had an alcoholic father; Lyn had an alcoholic mother. 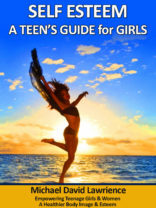 We both learned to survive by becoming codependent and being over responsible for others. We both suppressed our emotions and expression of our feelings. We both struggled as adults to overcome the genetic conditioning of our family lineages. I had energetically and emotionally taken on my father’s feelings of anger, shame and unworthiness. Lyn unconsciously carried her fathers self-doubt and her mothers victim consciousness. Lyn unconsciously took on the mother role in her family as I unconsciously took on the father role in my family. We have assisted each other over the years to heal our family lineage. Common Spiritual Purpose: As I mentioned earlier the main difference between soul mates and twin flames/souls lies in their purpose. 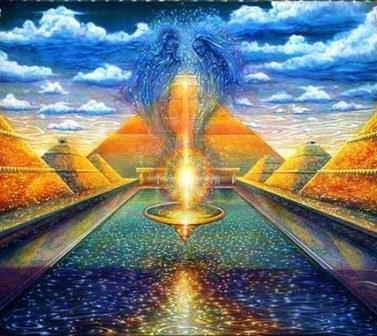 Twin Flames unite with a common purpose of assisting humanity evolve to higher levels of consciousness. We knew this from the beginning of our relationship, although we had little understanding of how to do this together. As energy healers, we assist individually and together those clients drawn to us. Clients begin to heal their energetic, emotional and spiritual patterns that prevent them from knowing and using their spiritual nature and gifts for the betterment of humanity. Completeness: I had come from the U.S. for the first time to Toronto, Canada to teach hands-on-healing. In a group of 30 strangers, Lyn recognized me right away once I brought the healing energy through me. She said nothing to me at the time. She waited to see if I recognized her. Two months later I returned to teach a second healing energy seminar. At the end the two days, Lyn and I hugged at the end. I felt a sense of expanding into the Universe and coming home in her arms; two souls recognizing their completeness. Complementary Qualities: Lyn works as an energy healer over the phone mostly assisting clients around the world. She acts as a midwife guiding people through whatever keeps them stuck from moving into their next stage of consciousness growth. I help clients through energetic bodywork release pain and patterns on a physical, emotional or spiritual level, for their next step forward in their lives. When I assist Lyn with her clients I add intuitive mental insights to her clairvoyant understanding. Our working in tandem expands the benefits to the clients. Connectedness: As a result of our connection on different energy levels/chakras, when Lyn experiences a shift in consciousness, I experience it the next day. When Lyn goes through a major shift which challenges her physical and emotional bodies, I also feel it to some degree at that time. On a different note, Lyn’s intuitive abilities manifest through inner feeling and seeing while I get direct knowing of people and situations. We, however, almost always independently get the same answers. Independence: We have healed our codependent behaviors, individually and together, over our lifetime. We function both independently as well as interdependently working together hand in glove as required. On a personality level we are two different people. Lyn is feeling and heart centered, while I am mentally focused. We, however, each require a lot of personal space and also have a strong sense of ourselves. We see and respect each other’s unique qualities. Inspiration/Creativity: We inspire each other to be the best we can be. We inspire each other to greater creativity. Lyn for instance gives me insights that make me a better healer and assist me in my writing. I bring out the best in Lyn by telling her the truth and supporting and understanding her. Life Transition: Lyn’s meeting me opened the door to her working as an energy healer. We both decided to move from Toronto to Sedona Arizona. This critical choice supported us both in our individual, professional, and spiritual growth in our life purpose together serving humanity. Seek the Others Guidance: As I have mentioned earlier, we both seek and trust each other’s intuitive guidance about personal questions, as well as how to best assist our clients. Similar Interests/Skills: We have gifts in energy healing, which have consistently developed each year. Our primary passion lies in the consciousness growth of clients, as well as the overall well-being and evolution of humanity. Support Personal Growth: We use our gifts of healing to support each other as we go through our individual personal healing journeys releasing past patterns of emotional pain and unconscious mental beliefs. In Twin Flame relationships, all our karma raises to the surface for us to face rather than project blame onto our partner. 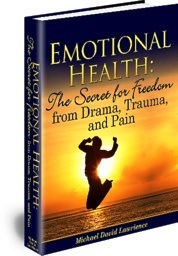 If we chose to turn away from our emotional issues, it becomes more difficult to be together. This means that all codependent and other dysfunctional behavior must be overcome for the life purpose together to manifest. 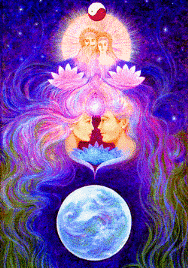 In a Twin Flame relationship, all male and female issues magnify. It is crucial to heal these individual patterns. 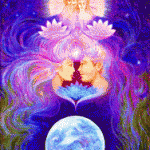 Twin Flames across the planet will come together to heal the polarity issues of male and female for humanity. Twin Flames have the potential to evolve to embody both Love and Divine Power in their individual physical bodies, as well as hold Love and Divine Power together as a unity. Invitation: If you have a Twin Flame relationship, send me your experiences with permission to print them. I may write another article in the future. Thanks so much for such a wise and grounded view on Twin Flames. Having looked at many other web sites on twin flame relationships l couldn’t relate to their overall romantic notions and just quite frankly wondered what l was missin. Brilliant article thanku.